How to build a killer obstacle course training wall! 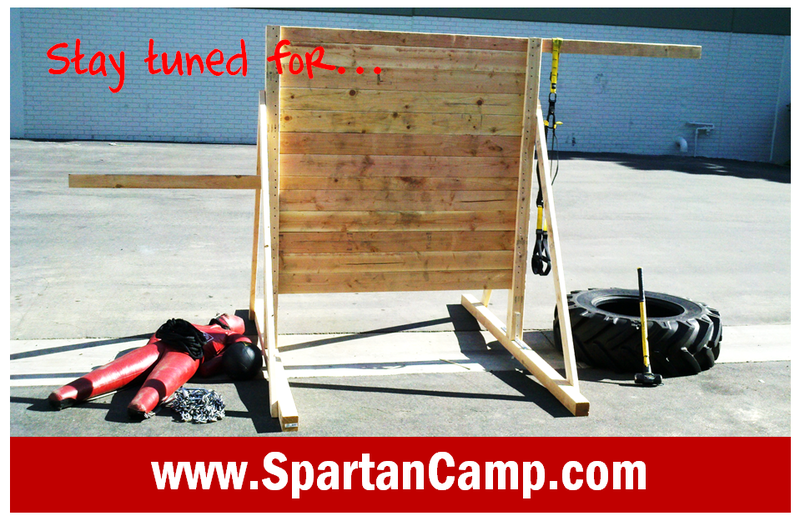 Last week 2 of my boot campers and motivated Spartan Chicks (Candy and Jen) recruited their husbands (Mike and Tony) to build us a killer obstacle course training wall – inspired by Hobie Call himself!! The wall is about 8 feet tall, about 6 feet wide, and is fully equipped with a “muscle-up bar” on one side and a “pull-up bar” on the other. It only took about 2 hours to build and the materials ended up costing us about 100 bucks – can’t beat that! We posted a pic of the wall on Facebook and you all went nuts wanting to know the specs – so you could build one of your own… well, here you go! Thank you all so much for your generous donations! 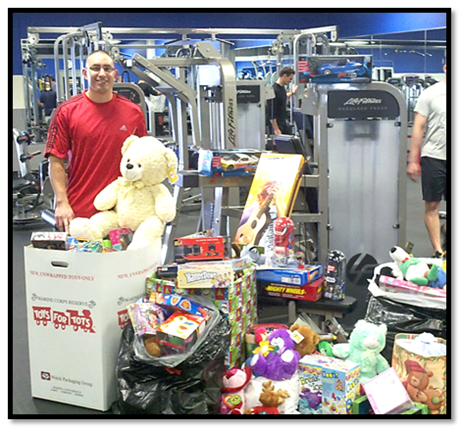 I couldn’t fit all the hundreds of toys in the pic below as I collected the most toys ever this year. 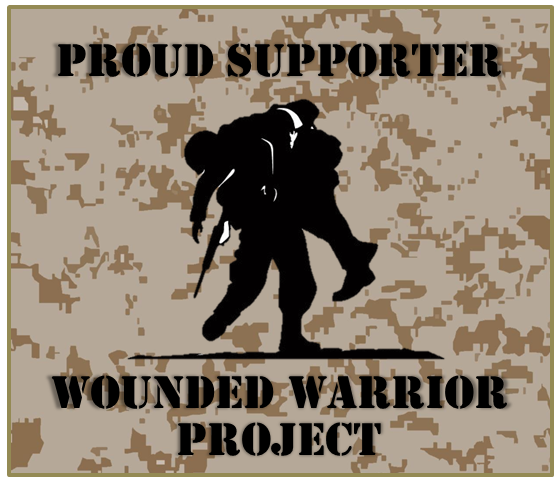 You guys are AWESOME and the US Marine Corps thanks you! 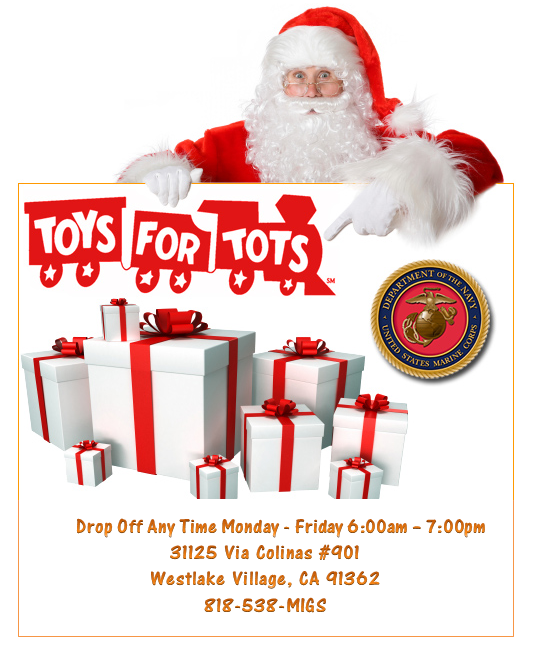 As a side note I’m still collecting for next year so any new unwanted toys can always be dropped off with me at the gym. I’m excited to introduce and welcome you to SPARTAN CAMP! This new section of my blog is a place for highly motivated Spartans and all obstacle racers past, present and future – who strive to get off the couch everyday and train for a Spartan Race or any other obstacle race! 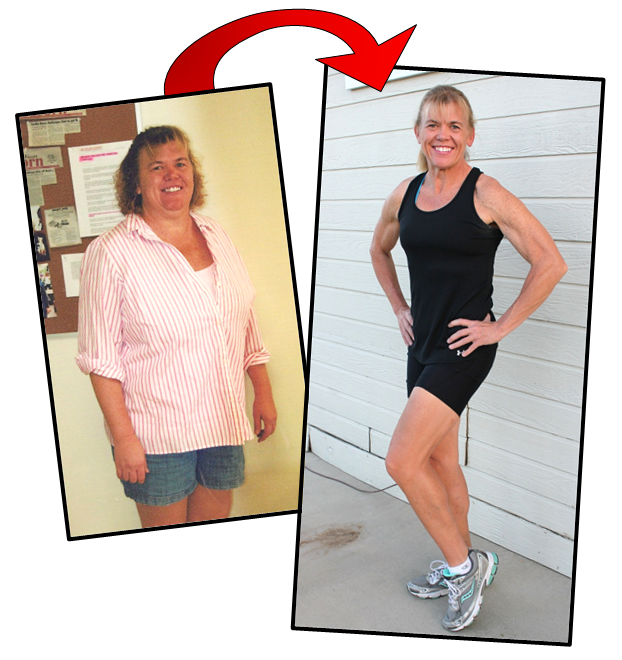 It is my goal to provide you with the most relevant, useful and motivating information, quotes, videos, tips and workouts all geared towards helping you get off the couch and get to the finish line! Collecting toys for needy kids is a time honored Marine Corps service and I am proud to participate each year and I thank you in advance for your support! 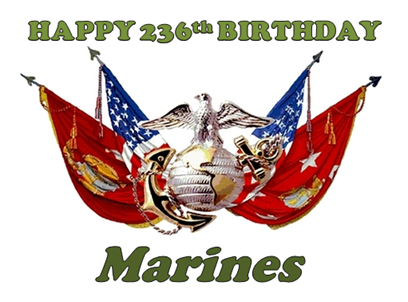 Every United States Marine (past, present, young and old) shares a birthday – November 10, 1775. It was on this day at Tun Tavern in Philadelphia that the Marine Corps was formed. 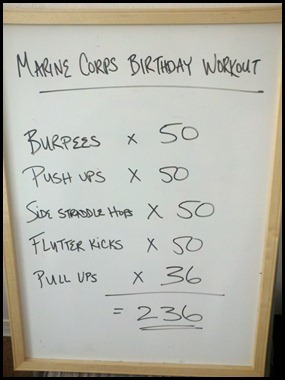 This day means just as much to us (if not more) than our actual birthday, so if you know a Marine, wish them a Happy Birthday! 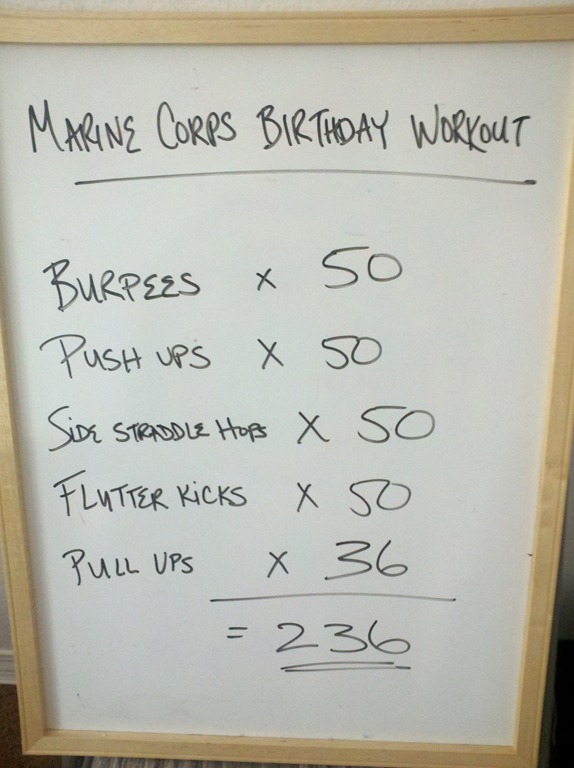 I did a special work out today in honor of the 236th Birthday of the Corps, watch me in action and see if you can do it! 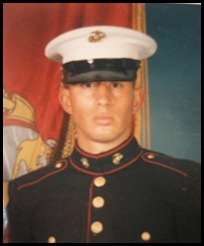 SEMPER FI DEVIL DOGS – OORAH! 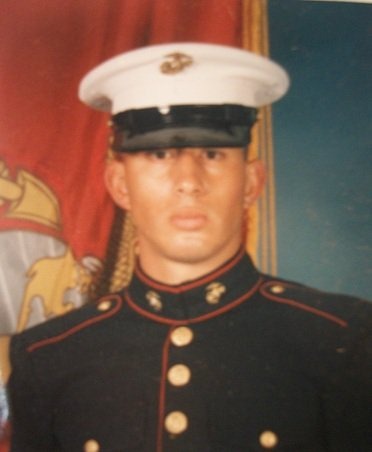 Posted by Marine Miguel on October 5, 2011 in Blog, Events, News, Updates with Comments Off on Boot Camp Food Drive! “food insecure” households of which 17 million are children. (http://www.foodshare.com/) and now’s the time to get started – and YOU CAN HELP! anyway and I will get them to the food pantry for you, I’ll be at the gym all day. 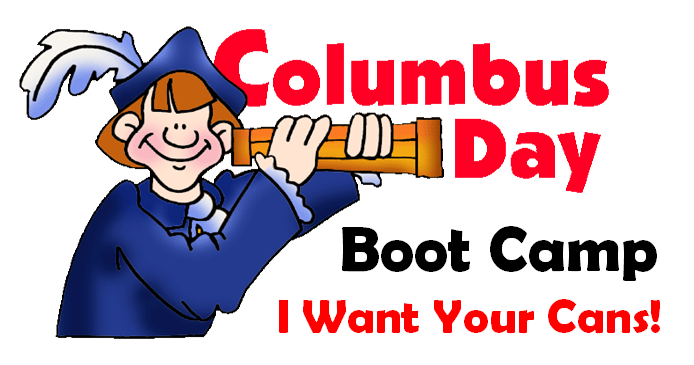 Posted by Marine Miguel on September 28, 2011 in Blog, Events, News, Updates with Comments Off on Are you ready Spartans?! level race they offer at only 3 miles in length anyone can do it…join me! out fast so don’t wait! Ready yourselves & see you there SPARTANS!! Some studies have indicated that your metabolism can benefit from surprise calories on a occasion and I think that having a ‘cheat day’ can provide mental relief for some people. So instead of saying to a friend at dinner on Thursday, “No, I can’t have cheeseburgers”, even though you want one – which feels depressing, you can say “I will have a Cheeseburger on Sunday, I’ll have a salad today”. A lot of people eat that way, with rules, to prevent over indulgence. If you do decide to have a cheat day or cheat meal make sure it’s out of the house so you do not have to buy and store the tempting items at home. Hydrate – This should go without saying, but people forget. Drinking plenty of water is one of your best defenses against muscle soreness. I recommend 96 ounces per day to my clients. Front-load your nutrition – The food you eat before you workout is the fuel that your body will use to repair your muscles. 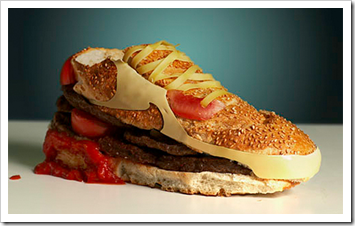 Make sure to get plenty of good nutrition the day(s) before a heavy training session. A good rule of thumb for your macronutrient ratios the day before training is 40% protein, 40% carbs, and 20% fats. This should serve as a starting point for individual experimentation. 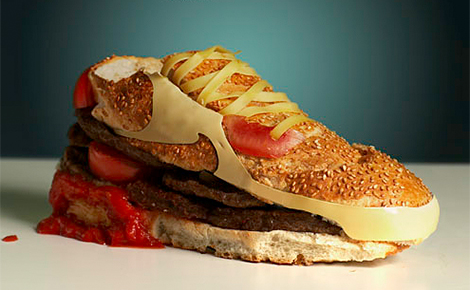 The day of your training session you should be eating a diet high in protein, complex carbs, and “good, healthy” fats. Many of my female clients have a major issue with “wing flap” syndrome – the loose area of skin beneath the bicep that tends to have a mind of it’s own sometimes! Here are 5 very effective moves you can add to your daily fitness regimen with ease…and keep in mind that you will need to do these exercises daily for about 21 days before you will start to see awesome results. One of the beacons of old-fashioned exercise enthusiasts, push-ups provide all sorts of benefits. To tighten and tone your underarms, you’ll want to place your hands close together on the ground. Once in the push-up position (on your toes or knees, torso straight and arms extended out to hold your weight above the ground), lower your body to the ground. As you go down, keep your elbows against your side. Once your chest touches your hands, push yourself back to the starting position, careful to keep your elbows by your side throughout the motion. Go for three sets of 8 to 15 repetitions each. Looking for another easy triceps-shaper that you can do no matter where you are? Dips fit the bill nicely. To perform dips, find a weight bench, an ottoman or a couple of sturdy chairs. Facing away from the bench, bend down and place your hands behind you on the bench. Place your legs directly in front of you, the heels of your feet resting on the ground. 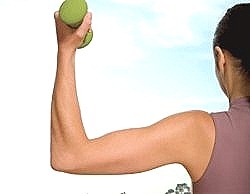 Slowly lower your body until your arms make a 90-degree angle. Push yourself back to the starting position and repeat 8 to 10 times. Go for 3 sets.